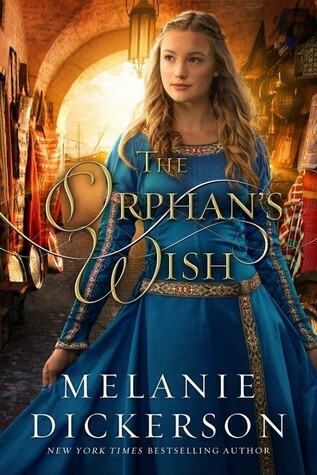 The Orphan’s Wish (2018) by Melanie Dickerson is the eighth book in her Hagenheim series. This book comes in all forms including eBook, and is 352 pages in length. With a full-time job and a very busy six-year old at home, this novel took me two days to read. I received a copy of this book in paperback form from the author via her publisher, Thomas Nelson Publishing. In no way has this influenced my opinion of the story. All opinions expressed in this review are my own. I give The Orphan’s Wish 5 STARS. This novel is a Christian Historical Romance. Melanie Dickerson is one of my most favorite Christian Fiction authors. I have read EVERY book she has written, and I will read everything she ever produces in the future. Her storytelling is SO good. I get lost inside the pages of every single one of her novels. The Orphan’s Wish is no exception. In fact, yesterday while I was reading, my daughter stood in front of me for a good five minutes attempting to get my attention, but I truly didn’t even notice because I was so captivated by the story. Mrs. Dickerson’s novel had completely transported me to Kirstyn and Aladdin’s world! I absolutely adore when a novel allows me to escape my world for a whole new world (hehehe, I couldn’t resist an Aladdin reference). When people come from nothing, when the world tells them that they are nothing, people often feel like they have to prove themselves. There is this sneaky message on repeat in peoples’ brains that everything they do must be done well and perfect every time. There’s no room to fail, and when failure happens it’s like you have let down yourself, your loved ones, the world, and God. It is a lot of pressure to live life like this. In fact, no one can live life like this because at some point we all fail. It’s inevitable. When Aladdin is a small boy — I’m talking 5 — he is manipulated into doing something bad in order to stay alive. The guilt from this act causes him to believe he must constantly be perfect — make the right choice, make the right decision, be the best at school, etc. — or no one will love him. He believes that a mistake means people will see him as nothing but a dirty street rat. Poor Aladdin! Many, many times the mom in me wanted to reach into the book and hug this broken man, and find a way to erase that errant looped message in his head. I found Aladdin’s struggle very real. My whole life was about trying to meet my mom’s supposed expectations for me. I could NEVER fail at anything. I had to prove I was a good enough daughter. This meant I had to get good grades in school. I had to be well behaved in public everywhere we went. I had to win all the academic awards I could. I had to make Varsity soccer in high school. I had to get into a good college. I could not afford to make a mistake or I felt I would be letting my mom down. I desperately wanted her to see that I was not a mistake. The funny thing is my mom never set up these expectations for me. Somehow, I got it into my mind that if I made a mistake my mom wouldn’t love me anymore. What a crazy thing for a kid to think! And, to this day, I have no idea where that thought came from. All my mom has ever wanted for me is to be safe and healthy and happy and to love Jesus with my whole heart. That’s it. She has always been proud of me because I am her kid. I didn’t have to do anything or be anything other than me. Man, if I had realized that when I was a teen, life would have been a lot easier for me. Aladdin realizes that his need to be perfect all the time is a rough road to walk. He grows to learn that mistakes happen, but God still loves him no matter what. And, he comes to understand that the people in his life still love him, too. A single mistake does not make up a person’s identity! Aladdin learns to go to God and ask for forgiveness. He also learns the value of communication. People are not mind readers. They don’t know Aladdin’s amazing plans if he doesn’t tell them. They don’t know his feelings if he doesn’t tell them. I actually think this is the perfect novel to give to tweens and teens so they can learn these two very valuable lessons at an earlier age, and maybe save themselves some needless suffering! When my kid is old enough, I am definitely giving her this book so she and I can have a good discussion about what it means to make a mistake and seek forgiveness, and the value of good communication. I appreciate how Mrs. Dickerson twists Disney stories and makes them her own. They are always so unique and engaging. In The Orphan’s Wish, not only does Mrs. Dickerson make her own Aladdin tale, but she puts a spin on the Joseph story from Genesis, too. I love Joseph’s story — it’s one of my most favorite in the Bible. So, to see it weaved a bit throughout Aladdin’s tale is a lot of fun for me. I appreciate it because we have a tendency to believe that the men and women in the Bible are separate from us, some may even say better than us because they were chosen by God to be in His book. But, the men and women of the Bible were just like us today. They made mistakes. They loved. They hated. They needed forgiveness. Bad things happened to them. They needed to go to the market. They had to pay bills. They really were just like us, which I think is the point. Any one of us can be an Aladdin or Snow White or Wreck it Ralph. Any one of us can be a Joseph or Esther or Ruth or Peter. Stories — good stories — are meant to teach us how to be better people. The Bible shows us that God uses cracked pots … no matter the time period. So, in this, I really loved that Mrs. Dickerson used the Joseph story and the Aladdin story because they really are just the stories of us! Overall, The Orphan’s Wish is a very good story. 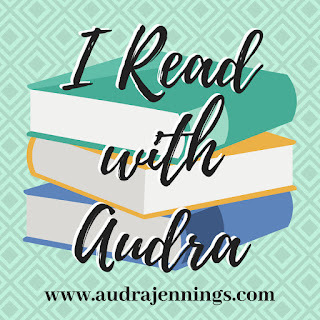 It’s filled with excellently created characters, timely and thoughtful themes and lessons, and a plot line that’s so engaging I could not put the book down. I highly recommend this book. If you are looking for a captivating read, then The Orphan’s Wish is the book for you! I am giving away ONE (1) paperback ARC of The Orphan’s Wish by Melanie Dickerson. The giveaway begins today, 7-15-18 at 8:00 pm (PST) and ends on Wednesday, 7-18-18 at 12:00 pm (PST). To enter, click on the Rafflecopter link below. Good luck! I have yet to read anything by Melanie Dickerson. This story sounds great…I hope to try it soon!! I’ve read one of her books just can’t think of the name but loved it because look for others at the library. Awesome! I’m glad you loved it. 😁 Thanks for commenting. I loved the Aladdin reference (hehehe)!! Wonderful review! I’ve enjoyed all of the books Melanie has written as well. You are right that it is so easy to get lost in the pages of her stories!! I am loving this book!! And thank you for sharing something so personal. I had a parent who had totally unrealistic expectations, that I was never able to meet. My husband and I try extra hard not to treat our daughter that way! I have not read any Melanie Dickerson books yet but would love to.